Ancient Medieval Chess Set. 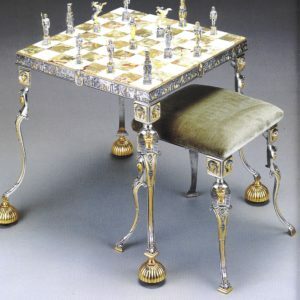 Beautiful and Unique Luxury Chess Set. Ancient Medieval Chess Set. 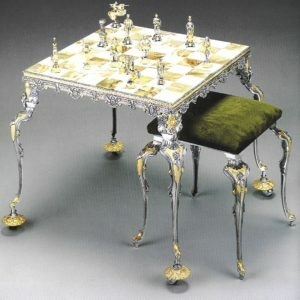 Beautiful and Unique Luxury Chess Set. It is made in Bronze by lost wax technique. Finished using Real Gold 24 Kt and Silver. Each piece is signed by the Sculptor. 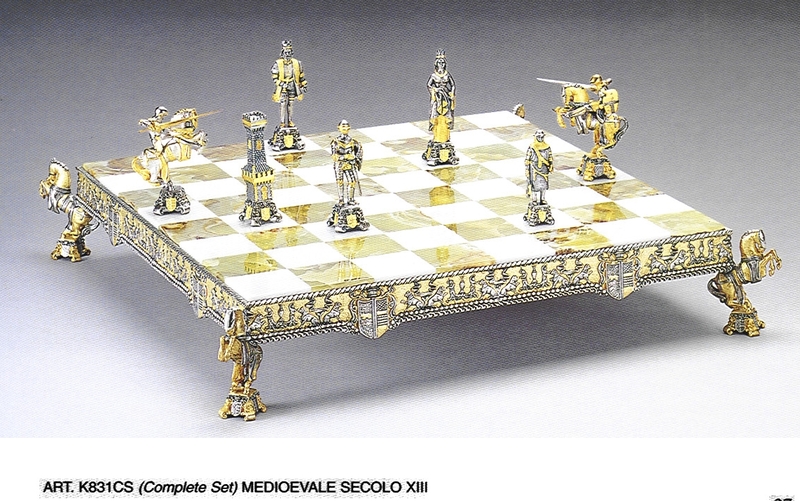 The Chess Board is made in Onyx and Bronze with a frame in bronze and real gold. 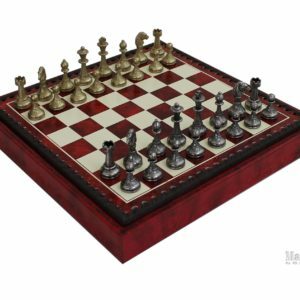 If you are you looking for the best chess sets here is the right place. Use te chess set of The Middle Ages, the period of the development of new modes of warfare encompassing both pitched battles and siege warfare. Black and white, then as now the western world was engaged in an arms race. New weapons technology prompted new defensive technologies, for example the introduction of cross-bows led quickly to the adoption of plate armor rather than chain mail. Play now ! !